T.S. Eliot pays tribute to "Mr. Mistoffelees, " "The Run Tum Tugger, " "Macavity: The Mystery Cat, " and a variety of other cats in this engaging collection of humorous poems. 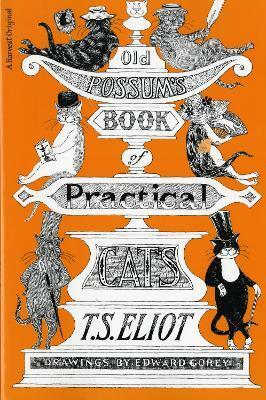 Originally composed to amuse Mr. Eliot's intimate friends, to whom they were sent anonymously, these verses have proven irresistible to cat lovers, lovers of nonsense, and admirers of T.S. Eliot throughout the English-speaking world.